Add the perfect touch to your holiday ornaments. 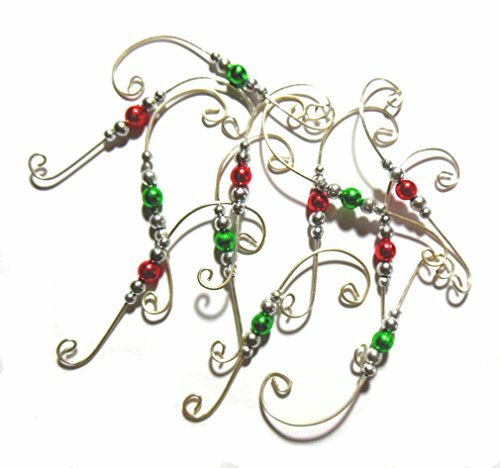 Wire swirls with red or green metallic beads. 2-1/4 inch length. Perfect for average size ornaments. If you have any questions about this product by Charmed By Dragons, contact us by completing and submitting the form below. If you are looking for a specif part number, please include it with your message. Darice Scroll Wire Ornament Hook Add a Bead - 2" GOLD 6pk/108pcs.